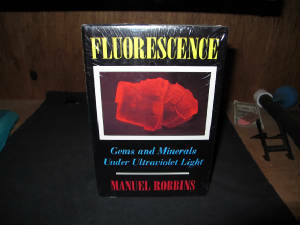 Rare first edition book long considered by fluorescent mineral collectors to be the premiere reference work. 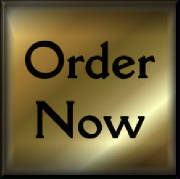 Three books are available. One is still sealed in its original plastic. The other two books are in pristine condition. The plastic wrap was removed in error. 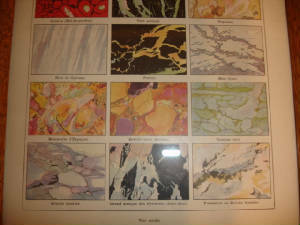 First edition 1994 by Manuel Robbins. 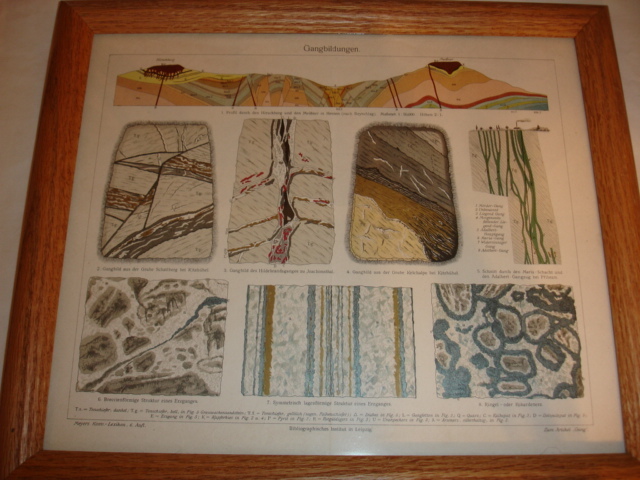 Circa 1880 from the Larousse Universei ( France). 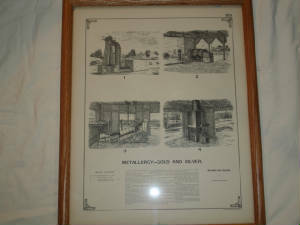 This document is in a double sided display frame. 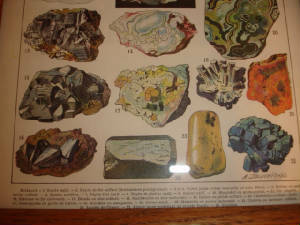 On the front is depicted 24 minerals in color. 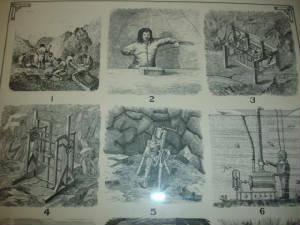 On the back are portrayal's of all the then known method's of mining, shoring, drifting, mining tools and methods. 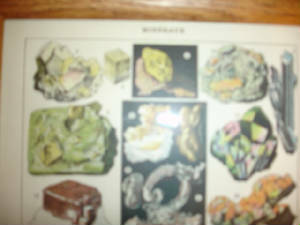 Descriptive text for the Minerals on the front and mining on the back are all in French. 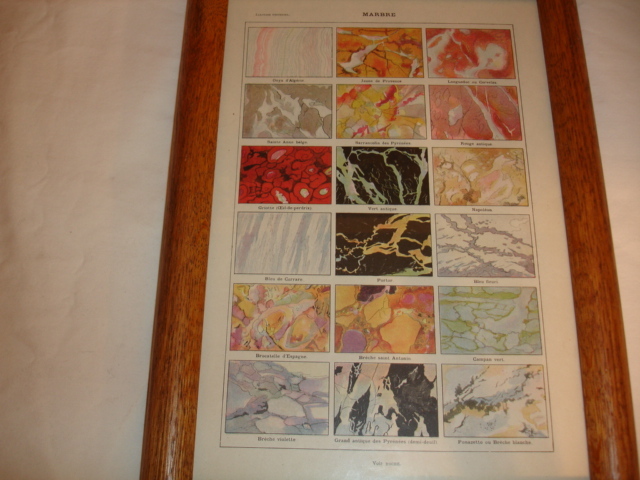 This is a pristine original undamaged document in a glass and oak frame. 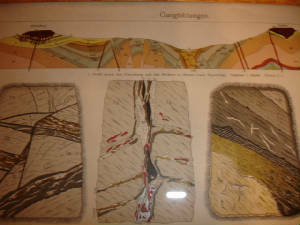 9.25" x 12"
Circa 1880 from Larousse Universei (France). 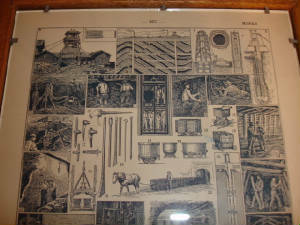 This document is in a double sided frame. 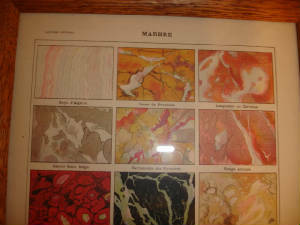 On the front is 18 color representations and names (types) of Marble. 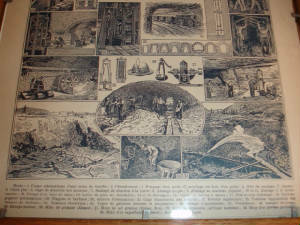 On the back side are portrayal's of Marble mining and extraction techniques with descriptive text on the bottom (in French). 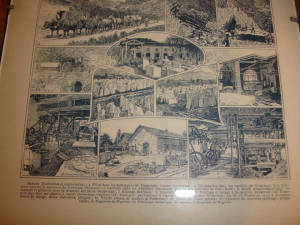 This is a pristine original undamaged document in an oak and glass frame. 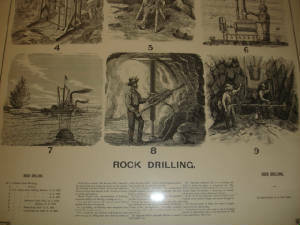 9.5" x 13"
Dated 1880 from the Julius Bien & Co. Photo-Lith New York. 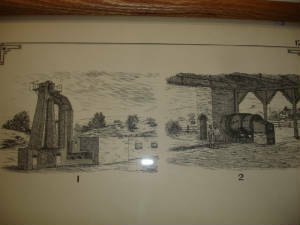 This document is in a double sided frame. 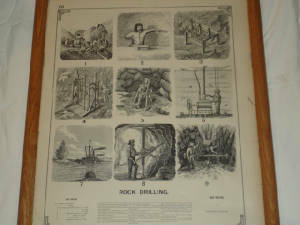 On the front are 9 pictures of the various methods of Rock Drilling including descriptive text at the bottom and dates of U.S. patent's issued. 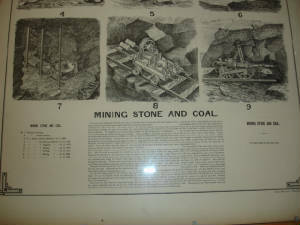 Also on the front bottom is a brief chronological history of mining techniques. 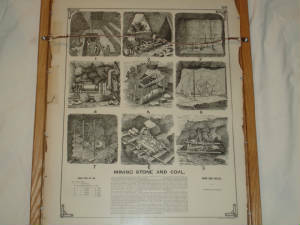 On the back are 9 pictures of Mining Stone and Coal as well as the chronological and material use history. 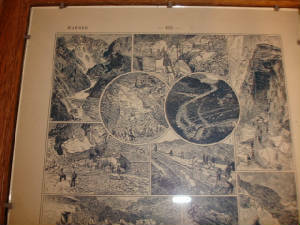 Statistic's (for 1880) detailing the number of men, horses,mules, explosives, and various machines used for mining and quarrying as well as dollar value.This original document has some minor damage to the edges of the paper, but none to the print itself. 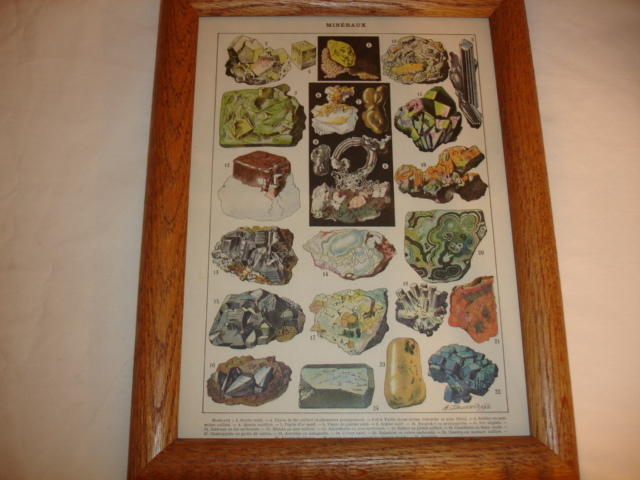 Sealed in an oak and glass frame 17.25" x 21.5". Dated 1880 Julius Bien & Co. Photo-Lith New York. 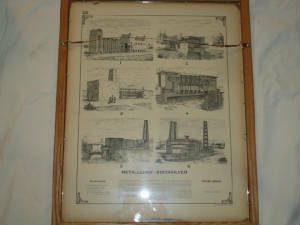 This document is in a double sided frame. 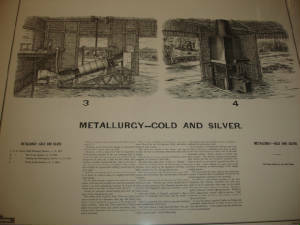 On the front is 4 pictures depicting the various smelting methods for Gold and Silver then available. 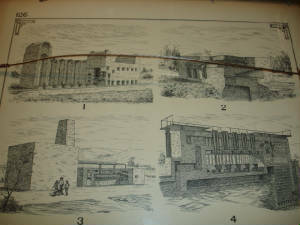 On the bottom is descriptive text and a chronological use history as well as statistic's. 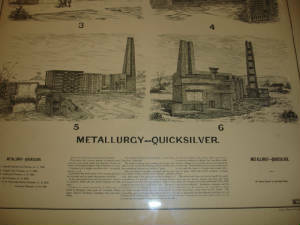 On the back are 6 pictures depicting Quicksilver (Mercury) smelting method's, history, descriptive text and statistic's. 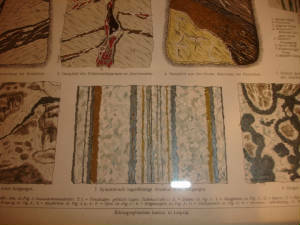 This original document has some minor damage to the edges of the paper but none to the print itself. 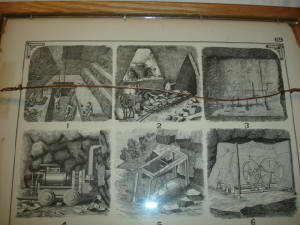 Sealed in an oak and glass frame. 17.25" x 21.5"